Snapchat is a great messaging app you message friends individually or create a Snapchat group. Users are now becoming fond of the Snapchat group because it’s even more fun. Guess what!! 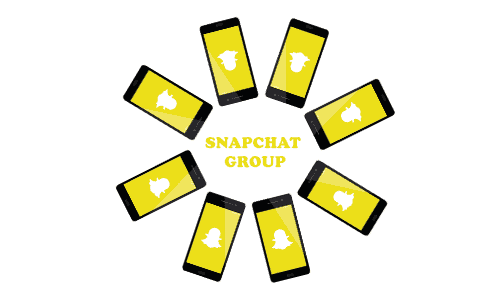 creating a Snapchat group is easy and you can create as many as you want! Enter your Snapchat log in to asses your account. Then go to the Friends tab via the speech bubble icon at the bottom left of the screen. Alternatively, swipe the screen to the right. Touch the speech bubble icon with the plus sign in the top right corner on the Friends tab. Next, add friends by typing their usernames. Repeat the previous step for all group members up to a maximum of 31. When you are done adding all group members, name the group by tapping Name Group at the top of the screen and typing in a name. Finally, Touch the blue Chat with Group button to create the group. 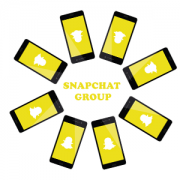 Manage your Snapchat group by tapping the menu icon. You can affect the following. Once the group is created, you can’t remove friends. However, members of the group are free to exit the group via menu icon in the top left and then select Leave Group. Chat: Chatting allows users to send texts to the Snapchat group you can send photos, snaps from Memories, Bitmoji stickers and more. Chats on the groups only have a 24 hours life span. Video Chat: You can also start a video chatting of up 15 friends in a group.